Kate Sanderson has been burned by love. From now on, she thinks, I will control my own destiny, and I will be reasoned and rational. But life has other things in store for Kate. Namely, a summer abroad studying Shakespeare's Romeo and Juliet in the very town where the star-crossed lovers met, Verona, Italy. Kate is thrown together with two other American teens and three Italians for a special seminar - and for volunteer duty at the Juliet Club, where they answer letters from the lovelorn around the world. Can Kate's cool logic withstand the most romantic summer ever? Especially when faced with the ever-so-charming Giacomo and his entrancing eyes...? 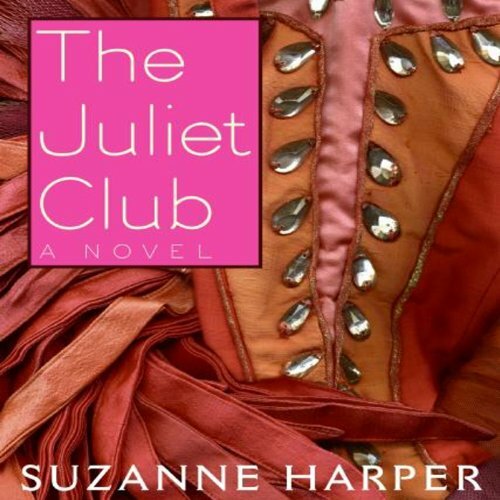 ©2008 Suzanne Harper (P)2014 Audible, Inc. This book is well written ... Jackamoe and Kate make great leads, but it is wonderful to discover love through everyone's eyes thanks to the letters to Juliet. I could totally see this as a movie on the ABCFamily channel, full of vivid costuming and young fun actors taking place in Verona, Italy.